Beautiful winter hiking paths, snowshoe hikes and fast sled runs await right outside our front door. Of course, we also offer our guests tours of our farm and stables in wintertime. Boredom is never a factor at the Bacherhof in winter either. . Out enjoying winter hikes or snowshoeing expeditions, you will be able to explore the beautiful, virgin winter countryside. You are also welcome to borrow a toboggan from us, and we will be happy to show you the best sled runs close to the Bacherhof. 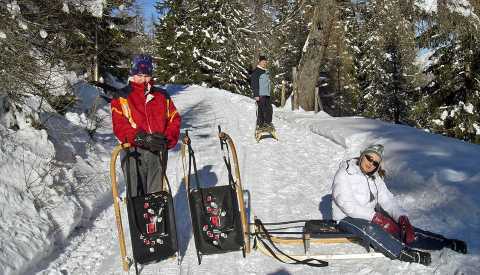 We will also accompany you on sledding expeditions to nearby mountain huts that also serve refreshments! For a very special experience, how about sledding at night under a full moon! 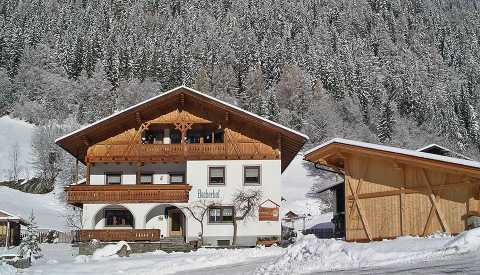 Within a radius of 20 km, you will find three well-known ski areas: Rosskopf, Ratschings-Jaufen and Ladurns-Gossensaß – all of which feature ski schools and ski rentals right next to the lifts. 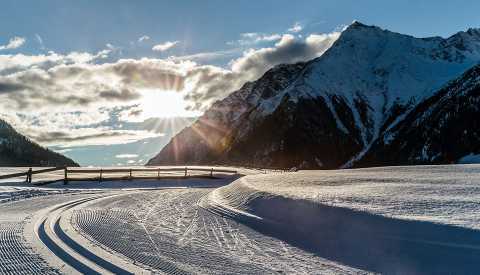 Just 4 km from the farm, you can enjoy cross-country skiing – either classic or “skating” technique – on the beautifully maintained alpine trail in Pfitschtal or at the Biathlon Center in Ridnauntal. 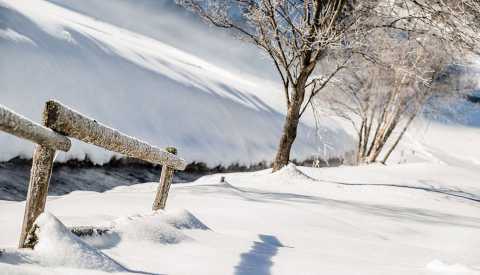 Well-equipped and –informed, or perhaps accompanied by a backcountry ski guide, here with us you can also enjoy the pristine winter countryside. We are happy to provide our guests with a place to store away their skis, sleds and snowshoes, plus we also provide a boot dryer.